Surajpur wetland is situated near Surajpur Village in Dadri Tehsil of District Gautam Budh Nagar under Greater Noida Industrial Development Authority, Uttar Pradesh, which comes under Western Wildlife Circuit. The area lies between Latitudes 280 31.425' N and Longitude 770 29.714' E at an elevation of 184.7m above msl. The wetland is located 800m from Delhi - Noida- Dadri Road, 6 Kms. from Dadri Railway Station, 26 Kms. from Delhi, 90 Kms. from Aligarh, 24 Kms. from Noida City and 3 Kms. from Greater Noida City, Uttar Pradesh.  This area is Reserve Forest (Gulistanpur Forest Block and Khodna Khurd Forest Block) spread over 308 hec. (3.08 Km2) that includes 60 hec. (0.60 Km2) of natural wetland. The terrain of the area is almost plain, although the track divides the area into flat terrestrial form and deep wetland area. The lake area has fine grand soil called lacoustrine soil and suppose tropical moist and dry deciduous vegetation (Champion & Seth, 1968). Surajpur wetland is mainly rained - fed other sources for water recharge are casement area of Hawalia drain which is attached to Hindan River and the irrigation canal of Tilapta minor, which originates from Kulesra Bund Hindan River. Surajpur is an excellent example of an urban wetland in Yamuna River basin. It forms suitable breeding ground for waterfowl such as Spot-billed Duck, Lesser-whistling Duck, Cotton Pygmy Goose, Comb Duck and wintering waterfowl such as Red-crested Pochard, Ferruginous Pochard, Bar-headed Goose, Greylag Goose, Common Teal, Northern Shoveler and Gadwall. Since 2010 Uttar Pradesh Forest Department, in collaboration with WWF-India and with support of the Greater Noida Industrial Development Authority, has implemented a project for conservation, planning and development of Surajpur wetland. Thus, they are collectively making efforts to restore the bleak area into a lively bird sanctuary. Therefore, the wetland sets a unique example of protection and conservation of biodiversity close to urban areas. This area has a very glorious past. Sati Nihal Dei belongs to this land, who used to visit Surajpur Lake for sacred bath. Presently this lake comprises in Surajpur Wetland. In Tretayug (Ramayan Kaal), Rawan's father, Viseswa Rishi's birthplace lies in this land. In Dwapar Yug (Mahabharat Kaal)- Dankore, 23 kms. from this wetland, was the Dronacharya's Ashram, where Kauravas & Pandavas took their training in Astra & Shastra. Eklavaya, the disciple of Dronacharya also hails from this place. In medieval India, Kasna, 12 kms. from Surajpur was known as Keshav Garh. The Gurjjar Community, whose primary occupation was cattle raring, has always dominated this region. Bhati Rajput from Jaisalmer (Rajasthan) came here to rule this area. They got married their children to Gurjjar community. Children from these marriages are now known as Bhati - Gurjjar. Rulers from Nagore (Rajasthan) also came here to rule. They also got married their children to Gurjjars. Children from these marriages are now known as Nagars . The area falls in National Capital Region as such the people come to this wetland to worship waterbody flora and fauna according to their regional ancient culture but there is no any permanent worship place. 220 species of Plants were recorded including 155 Herbs, 11 Shrubs, 36 Tree and 18 species of Hebasius Climbers. Total 180 birds species (Water birds - 82, Woodland birds - 99, Grassland birds - 49) with 48 families were recorded. * 13 species of fishes were recorded. * Total 58 invertebrates (Butterflies - 44, Dragonflies - 6, Annelids - 3, Arthropods - 3, Mollecus - 2) were recorded. * 8 species of reptiles were recorded. * 6 species of mammals were recorded. Surajpur Wetland is an excellent example of an Urban wetland in Yamuna River Basin and forms suitable breeding round for water foul such as Spot Billed Duck, Lesser Whistling Duck, Cotton Pygmy Goose, Comb Duck and Wintering Water Foul such as Red Crested Pochard, Ferruginous Pochard, Bar-headed Goose, Greylack Goose, Common Tel, Northern Shoveled and Gadwall Significantly the wetland also supports the breeding of some rare birds like Bristled, Grassbird, Black-naked Stark and Sares Crane, The natural phoenix trees surrounding lake give the view of Goa. IGI Airport, New Delhi to Surajpur 50 kms. New Delhi Railway Station to Surajpur 42 kms. Old Delhi Railway Station to Surajpur 40 kms. Hazrat Nizamuddin Railway Station to Surajpur 33 kms. Ashram (Delhi) to Surajpur via Dadri Road 28.5 kms. Ashram (Delhi) to Surajpur via Noida Expressway Road 41.3 kms. Sarai Kale Khan (Delhi) to Surajpur via Noida Link Road 38 kms. Agra to Surajpur through Yamuna Expressway 175 kms.